When the idea of a Barcamp was first mooted by Jon in February this year, we [Gaurav, Amit and moi] quicky lapped it up. But as the initial excitment of doing an “unconference” mellowed down, doubts started creeping in. We were not sure of what was in store for us. 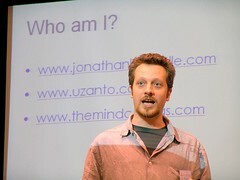 Would there be enough people to join the “unconference”? Would we get enough sessions lined up? What would be the level of those sessions? etc. etc. Eventually Barcamp Delhi proved to be a bigger success than any of us had imagined. 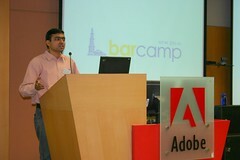 Not only that, it proved to be the harbinger of a barcamp revolution of sorts in India. And now the stage is set for the second round. BarcampDelhi-2 will be held on this Saturday, 9th of December at Impetus Infotech, Noida. Thanks to Impetus for allowing us to use their offices, we were having a very tough time finding a suitable venue this time. 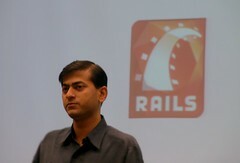 I have not yet finalized what I would speak on, but I am leaning towards something related to testing in Ruby on Rails. Spread the word around and see you there! p.s: An interesting bit, I came to know about barcamp from Rashmi at the Uzanto Open House. I always thought the name bar-camp came from the legendary foo and bar variables. Rashmi told us that the bar in barcamp is actually “Bay Area Rejects”, essentially those who were not invited to the foocamp. When I, Amit and Gaurav met Binesh at Tekriti’s office in Gurgaon, for that informal chat about Barcamp Delhi, I had my doubts that LivingDigital was serious about publishing an article on Barcamps. I read on Amit’s blog that there was an article in the June issue of LD which covered Barcamps. Thanks Binesh for the article. And again reading about BlogCamp on the main pages of HindustanTimes today, got me thinking about the kind of interest these “unconferences” are generating in the main media. Though it would be much easier for anybody to organize the next barcamp or blogcamp or (whatever)camp. Will the crowd be the kind that these events have attracted so far. 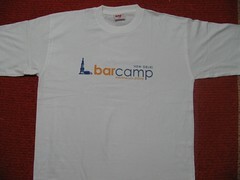 I have met people who have attended BarCamp Delhi, and also the barcamps in the other Indian cities. A few of us also attended the first MoMoDelhi (mobile monday Delhi). And most of us agree that BarcampDelhi, had the best crowd. Could it be that as the word is spreading, the actual “Signal to Noise” ratio for these events is decreasing.